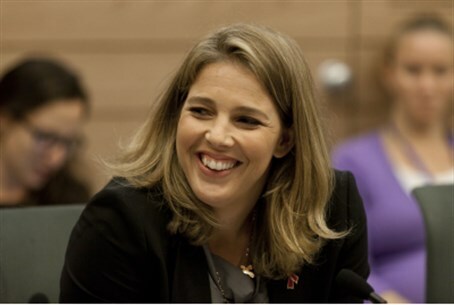 Bill proposed by Yesh Atid MK would grant tax benefits to gay parents. The Jewish Home party has vetoed a bill that would grant gay parents the same tax benefits that are granted to normative parents. The bill, which was submitted by MK Adi Kol (Yesh Atid), was approved for legislation Sunday by the Ministerial Committee for Legislation, which decides what bills will receive Coalition support. Shaked, who is secular, noted that the bill “seeks to carry out additional and very meaningful changes in matters of religion and state, which must not be made upon a whim. Such changes will have far-reaching implications for Israeli socity and the nation's chracter, and therefore, every small change in the matter requires in-depth thought and discussion that is meant to reach agreement, and not by force.